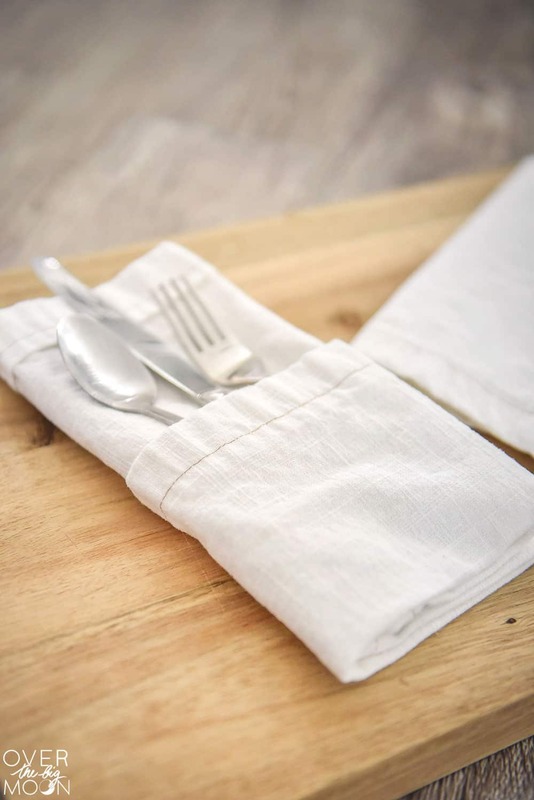 Come learn how to sew easy linen dinner napkins! This step by step tutorial will have you ready to tackle this project for way more affordable then you can buy them! 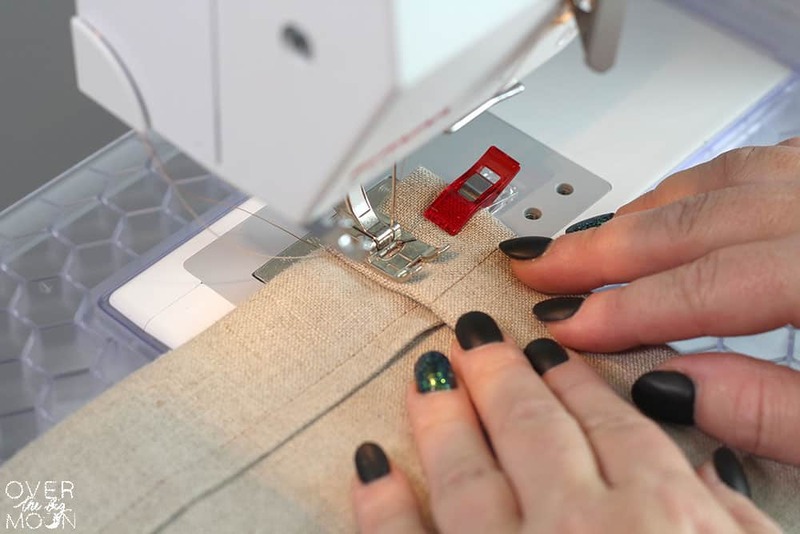 This is a perfect tutorial for people of all sewing levels! Hey guys! Hope you had a fabulous weekend! 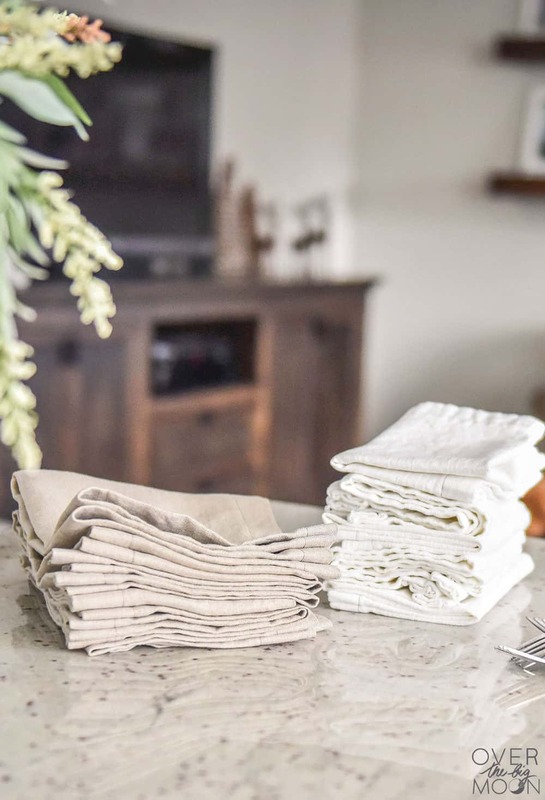 Last Fall I finally got around to sewing myself some DIY Linen Dinner Napkins! I LOVE linen fabrics, specifically for dinner napkins. But, to buy them can be a little pricey. While I was at JoAnn’s last September they were having a sale on linen fabrics and so I bought a yard of 3 different colors and decided I could sew some myself! 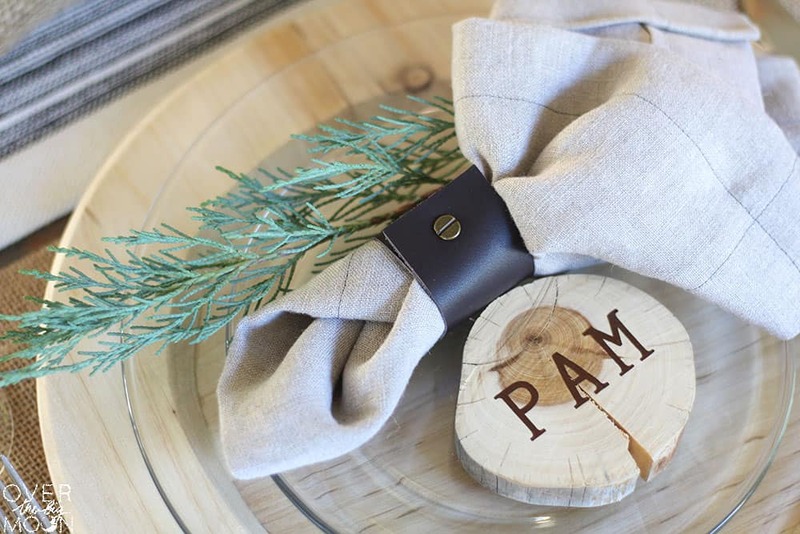 You can spy some of my finished napkins in my Elegant Farmhouse Thanksgiving Tablescape and also in my Easy DIY Leather Napkin Rings posts! 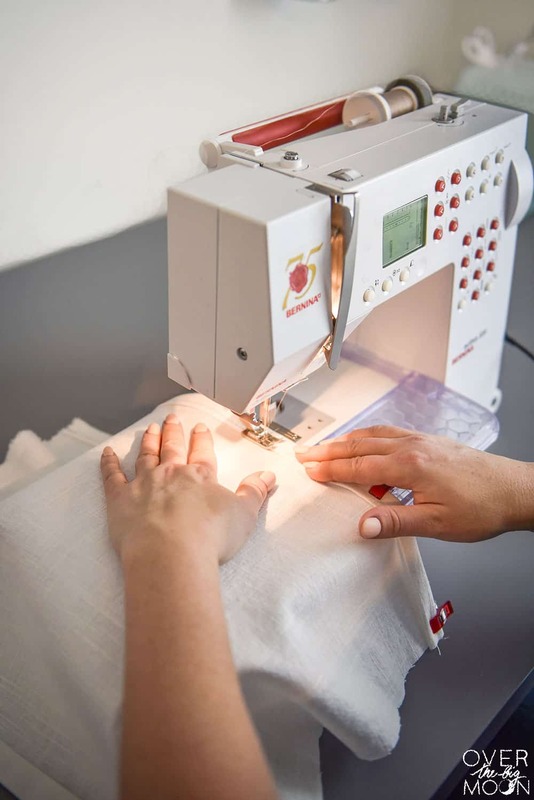 One of my favorite things about this project is that it only required straight sewing lines! I am no seamstress, but I do know how to work a sewing machine! haha! 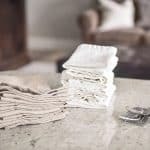 And, the style of these napkins are a little rough farmhouse, so even if you make a mistake, don’t stress! They mistakes will only add character! Before I get into the step by steps, let’s talk about the size of the napkin! Honestly, you can cut them to whatever size you want! 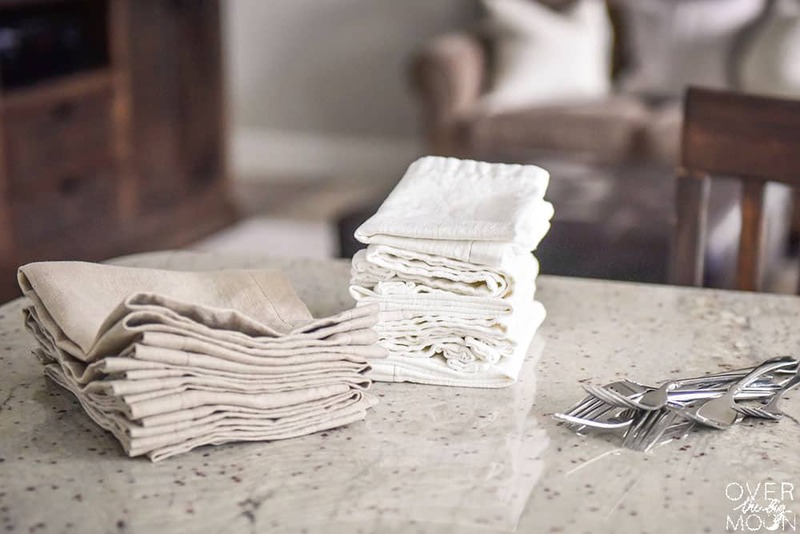 Standard linen napkins are 20″x20″ finished. So, you would cut your fabric to 21″x21″. But, I ended making my 16×20, because I wanted to get as many napkins out of my fabric that I could. So, take that into consideration when deciding your size. The instructions below are based upon what I sewed! Wash and dry the linen fabric twice. 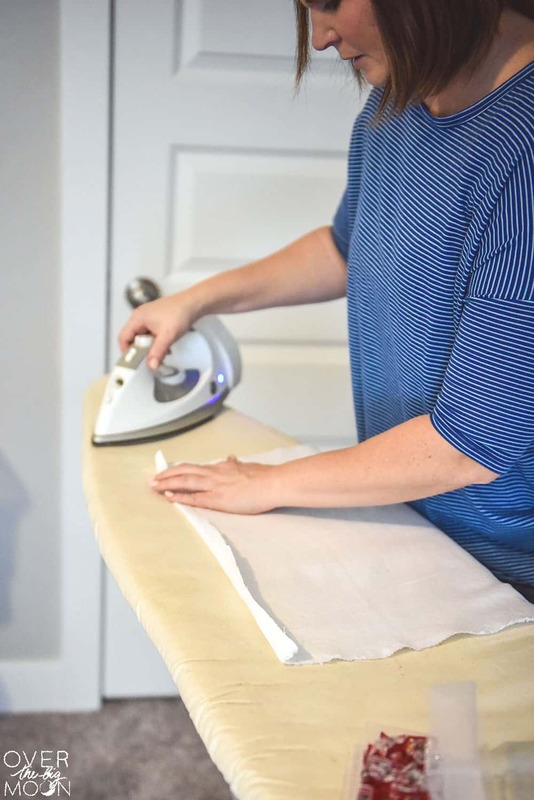 Cut the fabric into 17″x21″ pieces and give the each cut napkin a quick press. 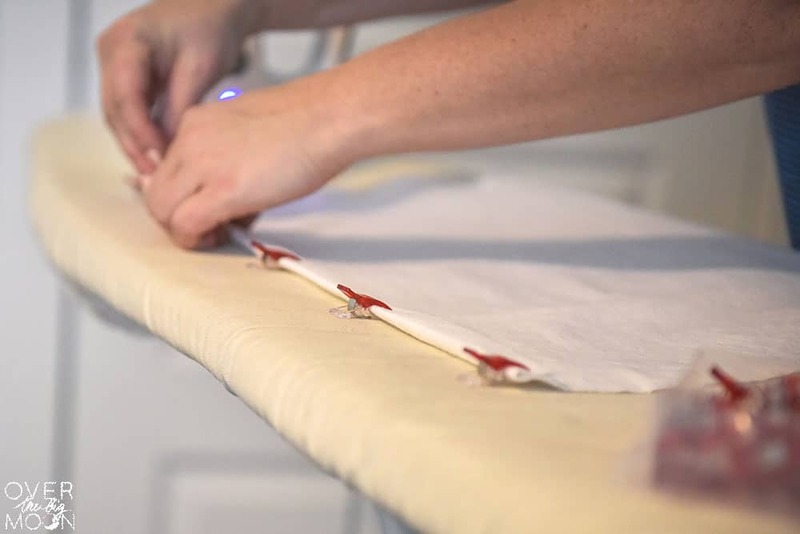 Fold down one size of the napkin 1/2″ and press. Fold it over again and press again. Use sewing clips or pins to hold down the fold. Do the same to the parallel side. Sew along the two folded edges 1/4″ from the inner edge. Make sure to back stitch as you start and finish the line. Do the same to the other two sides. And viola! You’re done! Now just repeat that 7 or so more times to make a set! I made a set in gray, white and linen colored! The linen ones look so good in my napkin rings! Now that you’re feeling all prepped, it’s time to go tackle your own set! GOOD LUCK! Love this project? I’d love for you to pin the image below!